Is any other state’s discipline is as lenient as that of Wisconsin? That question now has an answer: Yes, at least in the case of Illinois. Although, that does not forgive Wisconsin. The discipline is based on criminal convictions. 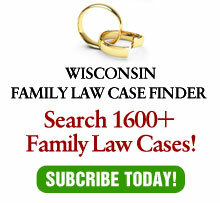 Attorney Butler was initially charged with three criminal offenses in Wisconsin: First-degree sexual assault, as party to a crime; false imprisonment; and misdemeanor battery. State v. Butler, Green Lake County Case No. 05CF91. In an apparent plea bargain, he plead no contest to one count of felony second-degree reckless endangerment. Attorney Addison was initially charge with five criminal offenses: Three counts of first-degree sexual assault, one count of fourth-degree sexual assault, and one count of false imprisonment. State v. Addison, Green Lake County Case No. 05CF90. Again, in an apparent plea bargain, he pled no contest to three counts: one felony count of second-degree reckless endangerment and two misdemeanor counts of sexual gratification in public. Amazingly, the Illinois disciplinary commission determined that felony conduct warranted only a 60 day suspension for Addison and 30 days for Butler. Wisconsin is not the only state light on discipline in serious matters. I stand corrected. This does not get Wisconsin off the hook as it could have differentiated our discipline from that of Illinois. Thank you to Justices Roggensack and Crooks for pointing that out. Disclaimer: I am retained as counsel for OLR in individual cases from time-to-time, but I had no role in either of these cases.